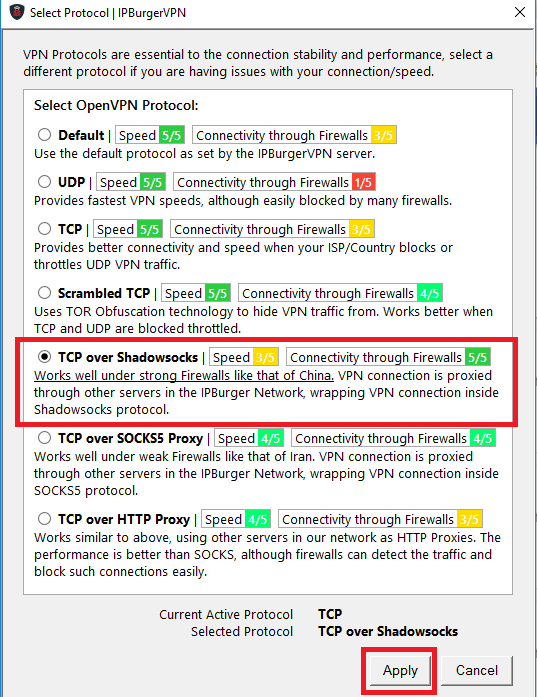 We have a customized version of Viscosity, a premium VPN software. This is availed for free with any IPBurger VPN you purchase. The guide here has the screenshots of Windows 10, however, the process is same for Windows 7 and 8. This guide is for Windows 7, 8.x, 10.x. You can follow the other guides for Windows XP & Windows Vista. 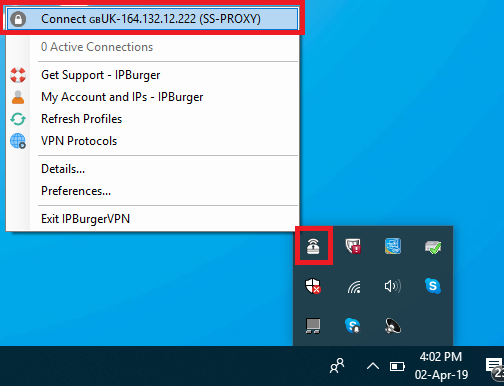 Once downloaded, open the installer and use the same cradentails that you use to login to IPBurger account. As the installation finishes, IPBurger will start automatically and you will see it in the tray icon/menu bar. China has strict firewalls. To overcome them, a different protocol needs to be used. 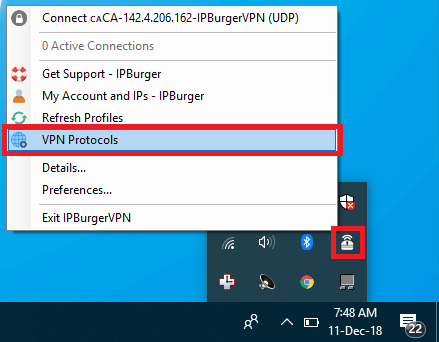 Click on the IPBurgerVPN icon in the bottom tray and then click on 'VPN Protocols'. Once it is connected, the icons should turn green. 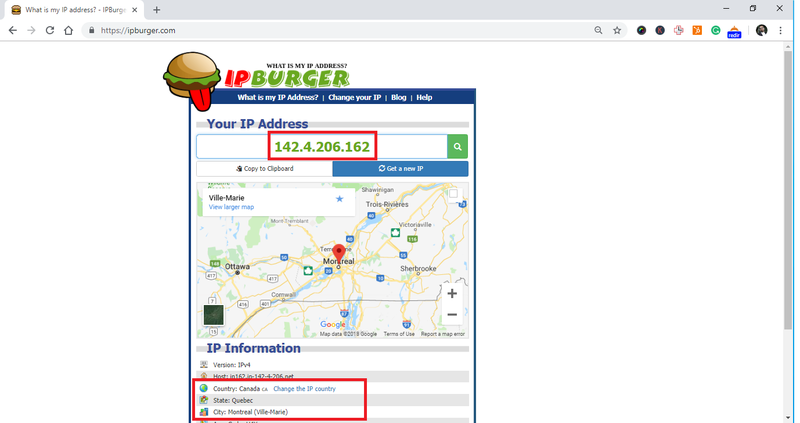 Go to IPBurger.com and check your IP there. 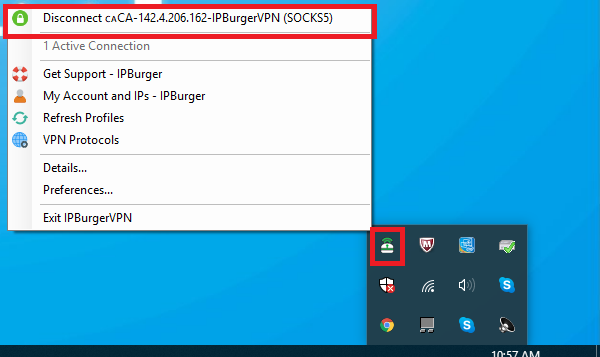 It should show your VPN IP and the locaiton of the IP you purchased. 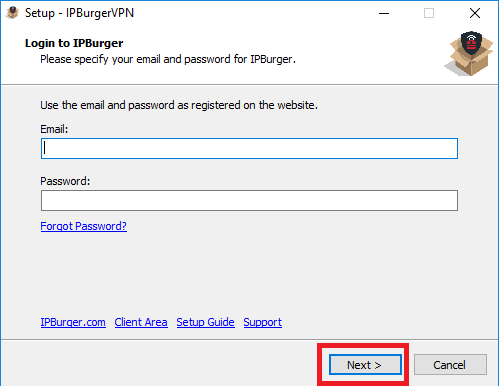 Refer this guide to know about some useful advanced features of the IPBurgerVPN software.